Based on traditional altarpieces I composed a set of portraits that dealt with what was truly important to me at that time: the friends and colleagues around me. 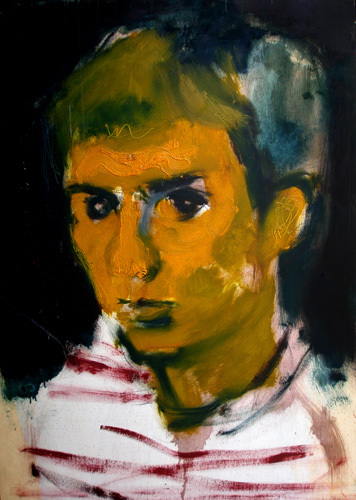 Miguel Nager, 120 x 90 cm. 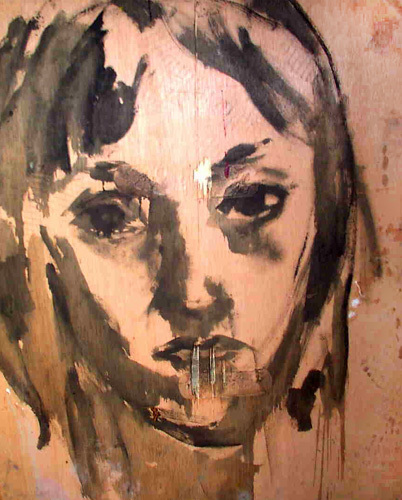 Inmaculada, 100 x 80 cm. 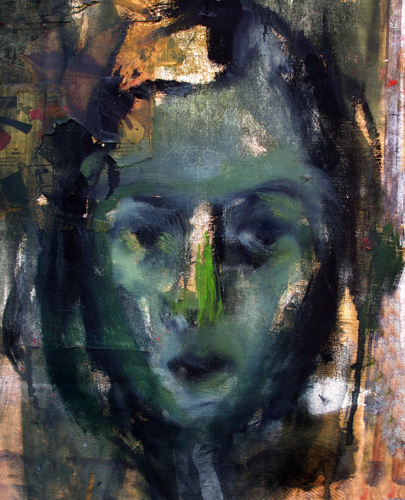 Marta, 140 x 100 cm. 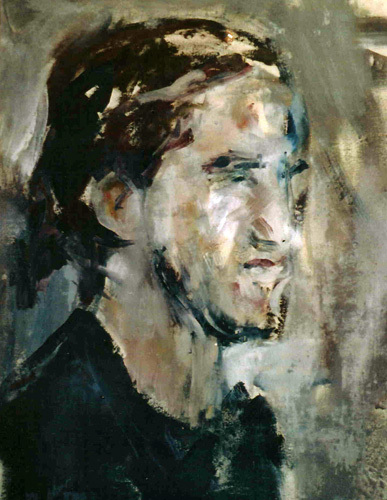 Julio Rodway, 120 x 100 cm. 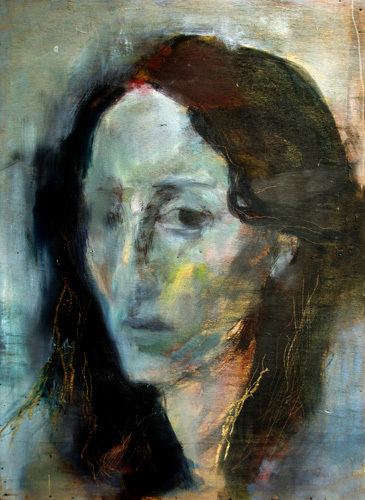 Ingrid Quiroga, 120 x 100 cm. 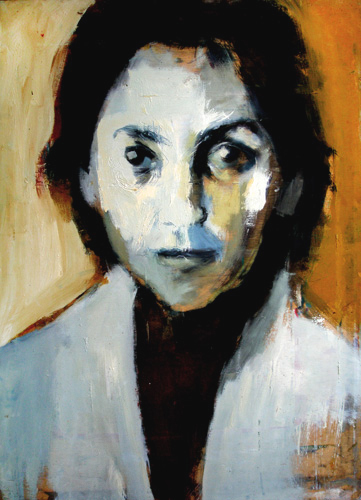 Maria Mitsoupoulo, 120 x 100 cm. 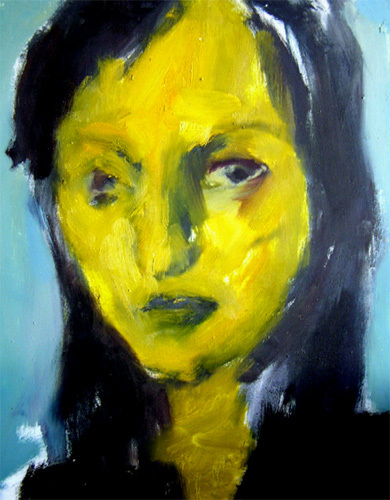 Blanca, 120 x 100 cm. 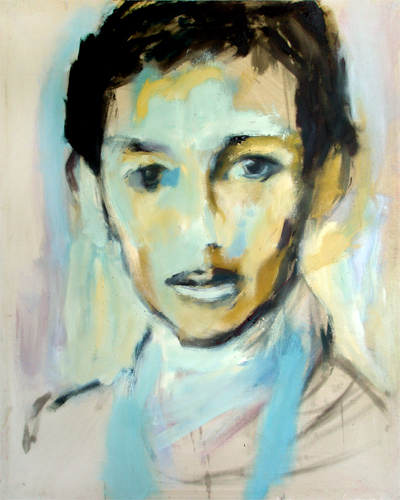 Dejanire, 120 x 100 cm. 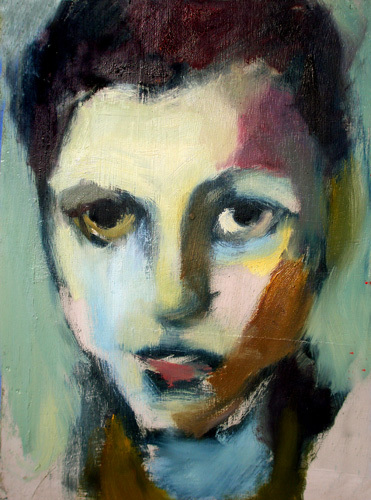 Ingrid, 85 x 70 cm. 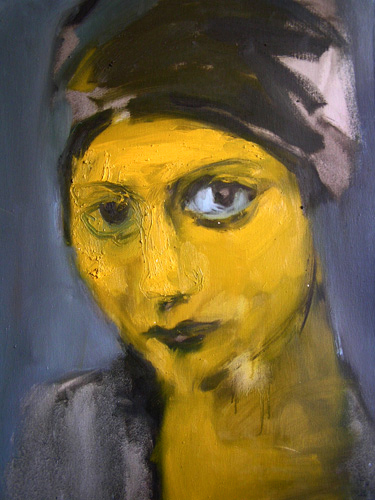 Isabel, 130 x 110 cm. 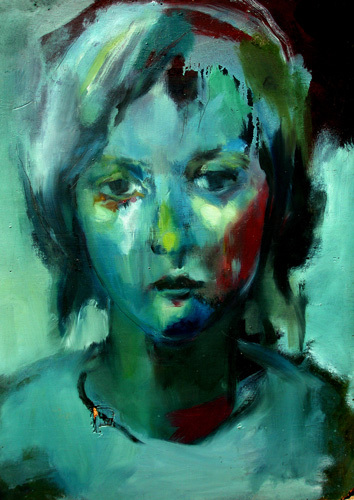 María Mateo, 130 x 110 cm. 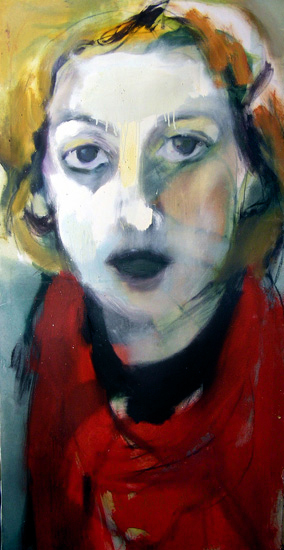 Cristina, 110 x 90 cm. 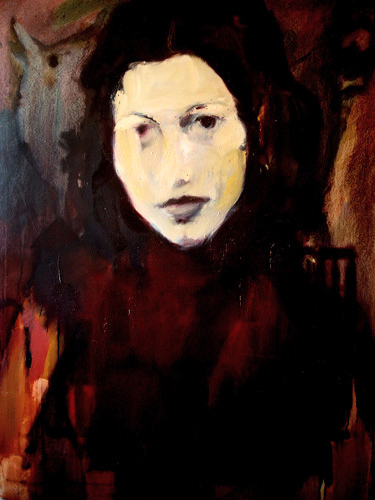 Viki, 120 x 90 cm. 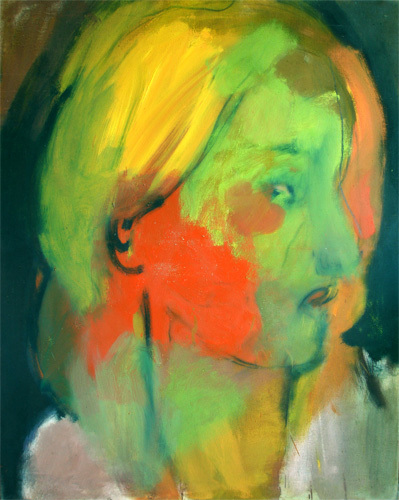 Marta Orozco, 130 x 110 cm.